Sadio Mane became the first Liverpool player since John Barnes to net in three consecutive season-openers last weekend - and he could hit another goalscoring milestone at Crystal Palace tonight. The Senegal forward has registered five times in eight previous games against the Eagles during his career. And, should he score at Selhurst Park this evening, he will become the first Reds player to net in three successive league meetings with Palace - which wouldn't be a bad way to mark his 150th appearance in English football. 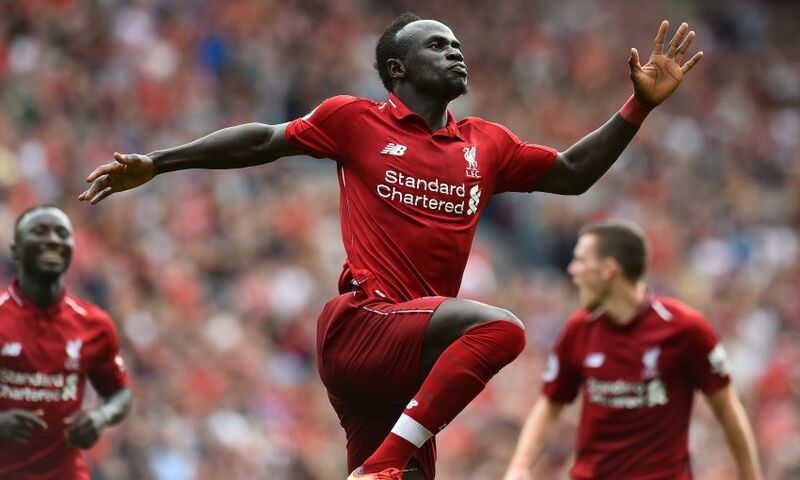 Mane scored twice in last Sunday's 4-0 opening-day win over West Ham United and if he were to repeat that feat tonight, he would become only the second player in Liverpool history to net twice in each of the first two games of a season. The first was Ian St John in 1969-70. In Liverpool's 18 Premier League clashes with Palace, there have been 63 goals scored at an average of 3.5 goals per game, with the Reds scoring in all but two of the meetings. The Reds' biggest ever top-flight league win came in September 1989 when they beat the Eagles 9-0. They set a league record when eight different men found the net. 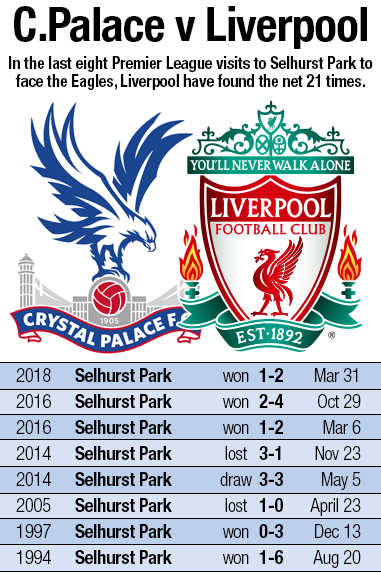 Palace have not lost in the league since being defeated by Liverpool at Selhurst Park in March. Daniel Sturridge could make his 100th top-flight appearance for the Reds, and his next league goal will see him reach 50 in the Premier League for the club. Eight days ago, Sturridge scored just 24 seconds after coming off the bench in the win over West Ham - and in doing so, became the first man to net for Liverpool within a minute of coming on on two separate occasions. Last season, Liverpool recorded a third successive league victory at Selhurst Park for the first time in their history. That run stretches to four as the sequence began with an FA Cup win in 2015. Joel Matip scored his first Liverpool goal in the 4-2 win at Selhurst Park in October 2016. Andy Robertson made his debut for the Reds against Palace in August 2017.